The year’s biggest celebration of Dominican cigars and culture concluded last Friday evening in the city of Santiago with a gala dinner, a charity auction and an abundant array of cigars from some of the most well-established names in the industry, Gregory Mottola reports for Cigar Aficionado. From the giant Tabacalera de Garcia factory in La Romana to the tobacco fields of La Canela, over 300 attendees got the opportunity to traverse the Dominican Republic’s lush tobacco landscape and meet the people behind the country’s finest smokes. Every day started with a factory or field tour, and every night ended with a jubilant evening of cigars, spirits, food and music. The ProCigar organization still asserts that the Dominican Republic remains the “number one exporter of premium cigars in the world,” and points to the country’s infrastructure and dense concentration of industry operations within Santiago. In addition to growing binder, filler and wrapper tobacco for the premium cigar sector, the industry is supported by the Tobacco Institute, whose technical expertise helps to ensure that the Dominican Republic’s agriculture remains both sustainably productive and environmentally sound. The annual ProCigar tour started on February 16 in La Romana at the Casa de Campo resort where guests were able to tour the Tabacalera de Garcia factory, a massive operation that produces brands such as Romeo y Julieta, Montecristo and H. Upmann. 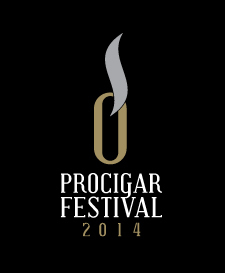 ProCigar’s second leg continued in Santiago on February 19. Here, cigarmakers from Litto Gomez of La Flor Dominicana to Guillermo León of La Aurora opened up their factories, giving guests the opportunity to see the complex world of cigar production in great detail. Attendees had the option each day of a tobacco-centric field/factory trip or a cultural excursion. This year, José “Jochi” Blanco, owner of Tabacalera La Palma, officially joined ProCigar. In addition to Altadis U.S.A. Inc., General Cigar Co. Inc., La Aurora, Quesada Cigars (formerly MATASA) and Oettinger-Davidoff, ProCigar also includes Corporación Cigar Export, maker of Augusto Reyes cigars, Tabaquisa S.A., maker of Juan Clemente, Arturo Fuente y Cia., who rejoined two years ago, as well as Tabacalera La Alianza, maker of E.P. Carrillo Cigars, and La Flor Dominicana, who joined last year. ProCigar’s celebration came in the heart of cigar festival season. In January, Nicaragua threw its third cigar fest, and Cuba has just started its 16th Habanos Festival. For more on the ProCigar Festival, see the next Cigar Insider.